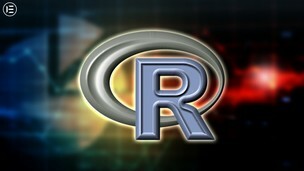 R is considered as lingua franca of Data Science. Candidates with expertise in this language are in exceedingly high demand and paid lucratively in Data Science. IEEE has repeatedly ranked R as one of the top and most popular Programming Languages. Almost every Data Science and Machine Learning job posted globally mentions the requirement for R language proficiency. All the top ranked universities like MIT have included R in their respective Data Science courses curriculum. With its growing community of users in Open Source space, R allows you to productively work on complex Data Analysis and Data Science projects to acquire, transform/cleanse, analyse, model and visualise data to support informed decision making. But there’s one catch: R has quite a steep learning curve! How’s this course different from so many other courses? Many of the available training courses don’t cover R programming in its entirety. To be proficient in R for Data Science requires thorough understanding of R programming constructs, data structures and none of the available courses cover them with the comprehensiveness and depth that each topic deserves. Many courses dive straight into Machine Learning algorithms and advanced stuff without thoroughly comprehending the R programming constructs. Such approaches to teach R have a lot of drawbacks and that’s where many Data Scientists struggle with in their professional careers. Also, the real value in learning R lies in learning from professionals who are experienced, proficient and are still working in Industry on huge projects; a trait which is missing in 90% of the training courses available on Udemy and other platforms. This is what makes this course stand-out from the rest. This course has been designed to address these and many other fallacies and uniquely teaches R in a way that you won’t find anywhere else. Taught by me, an experienced Data Scientist currently working in Deloitte (World’s largest consultancy firm) in Australia and has worked on a number of Data Science projects in multiple niches like Retail, Web, Telecommunication and web-sector. I have over 5 years of diverse experience of working in my own start-ups (related to Data Science and Networking), BPO and digital media consultancy firms, and in academia’s Data Science Research Labs. Its a rare combination of exposure that you will hardly find in any other instructor. You will be leveraging my valuable experience to learn and specialize R.
What you’re going to learn in this course? The course will start from the very basics of introducing Data Science, importance of R and then will gradually build your concepts. In the first segment, we’ll start from setting up R development environment, R Data types, Data Structures (the building blocks of R scripts), Control Structures and Functions. The second segment comprises of applying your learned skills on developing industry-grade Data Science Application. You will be introduced to the mind-set and thought-process of working on Data Science Projects and Application development. The project will then focus on developing automated and robust Web Scraping bot in R. You will get the amazing opportunities to discover what multiple approaches are available and how to assess alternatives while making design decisions (something that Data Scientists do everyday). You will also be exposed to web technologies like HTML, Document Object Model, XPath, RSelenium in the context of web scraping, that will take your data analysis skills to the next level. The course will walk you through the step by step process of scraping real-life and live data from a classifieds website to analyse real-estate trends in Australia. This will involve acquiring, cleansing, munging and analyzing data using R statistical and visualisation capabilities. Each and every topic will be thoroughly explained with real-life hands-on examples, exercises along with disseminating implications, nuances, challenges and best-practices based on my years of experience. What you will gain from this course will be incomparable to what’s currently available out there as you will be leveraging my growing experience and exposure in Data Science. This course will position you to not only apply for Data Science jobs but will also enable you to use R for more challenging industry-grade projects/problems and ultimately it will super-charge your career. So take the decision and enrol in this course and lets work together to make you specialize in R Programming like never before! There is only one pre-requisite: Passion and commitment to learn!